Home > Real Estate Regulator > Delhi Development Authority DDA simplifies land pooling policy; Single Window clearance to be set up..! 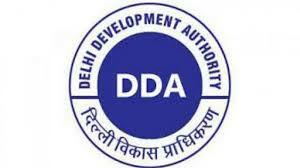 Delhi Development Authority DDA simplifies land pooling policy; Single Window clearance to be set up..! In a bid to ease the process of providing affordable housing, the Delhi Development Authority (DDA) on Thursday said that it has simplified the land pooling process for building housing for Economically Weaker Sections (EWS). Then a part of the “developed land” is given back to the original owners and the owners have to construct a pre-agreed number of economical housing there. The owners can retain 50% of these housing and have to sell the rest to DDA at Rs. 2,000 per square feet. DDA then sells the housing to beneficiaries who fall under EWS. Earlier, the pooled land had to first be changed to the DDA’s name and after development, it had to be changed back to the owners’ names, an official told IANS. But according to the new policy, the land will remain in the owners’ name throughout the process, which the authorities believe would simplify it. The decision was taken in a meeting between Union Minister of Housing and Urban Affairs Mr. Hardeep Singh Puri and Delhi Lieutenant Governor Anil Baijal, who is also the Chairman of DDA. DDA officials have been directed to formulate necessary regulations “under the policy in accordance with the changes in a month’s time”. “Nearly 22,000 hectares of land is expected to be pooled which could meet the needs of about 95 lakh people,” the statement read. “Land pooling would catalyse economic, social and civic development of the national capital besides triggering substantial investments and employment generation,” the statement added.